What do you call a defensive coordinator who isn’t in charge of his defense? With the new hire of Todd Bowles as secondary coach, I suppose the answer is Juan Castillo. Surely Andy Reid will tell the press today that he always planned to retain Castillo, but we don’t have to believe him. The Eagles were turned down by Steve Spagnuolo and others before they settled back in for another year of “the offensive line coach?” Castillo, who could already rely on “assistant” Jim Washburn for the defensive line, now has Bowles coaching up the defensive backs. 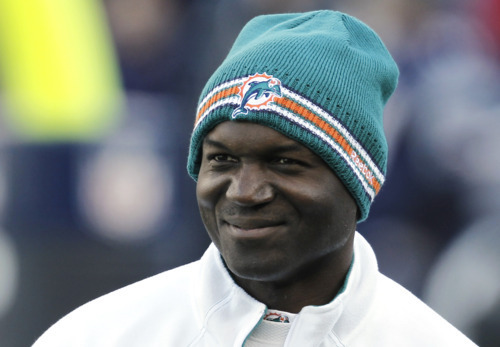 On the surface, given Castillo’s return, the Bowles move is quite positive. He has a long history in the league and was respected enough by his players that the Dolphins promoted him to interim head coach after Tony Sparano was fired. But I doubt that Reid lured Bowles to town with anything less than absolute control over the secondary — much like Washburn has over the defensive line. And while that might bring better schemes and technique, it also establishes the second of Castillo’s underlings who actually have more power than he does. Juan’s role is rapidly reducing. Presumably he still has control over Mike Caldwell’s linebackers (for better or worse) and playcalling duties (mostly worse) — but that’s all. Somehow, two authoritative assitants and one bumbling overseer doesn’t strike me as the formula for a successful defense. Let me put it a different way. On The Wire, police Major “Bunny” Colvin (who bears more than a passing resemblance to Mr. Bowles) uses his complete control over the Western District to establish his own extra-legal, free-drug zones to isolate the gangs in uninhabited areas of Baltimore. It’s a brilliant plan in its own right, and succeeds in cutting down on violence. But, (spoiler alert) it can’t last. Colvin’s plan is incompatible with the rest of the police force, especially his backwards superiors. Change within a corrupt bureaucratic organization is difficult, and it has to start at the top. You can’t fix problems and spearhead better policies without a cohesive plan pulling it all together. By removing Castillo further from on-the-ground responsibilities, Reid has addressed the symptom of poor coaching without removing the cause — the lack of an experienced defensive coordinator who can actually take control of the whole defense. Until that changes, I will remain pessimistic about the unit’s future. Tagged with Philadelphia Eagles, NFL, Defense, Defensive Coordinator, Juan Castillo, Todd Bowles, Secondary Coach, Steve Spagnuolo, Jim Washburn, Playcalling, Coaching, Leadership, Andy Reid. January 31, 2012 by Brian Solomon.